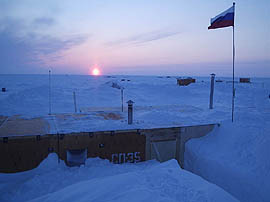 On October 17, 2007 the new Russian scientific research Station SP-35 started to work in the Arctic. It is situated straight on the route of Matvey Shparo's Expedition. The teenagers of the Russian regions will test themselves in the Youth Expedition "To the North Pole! ".